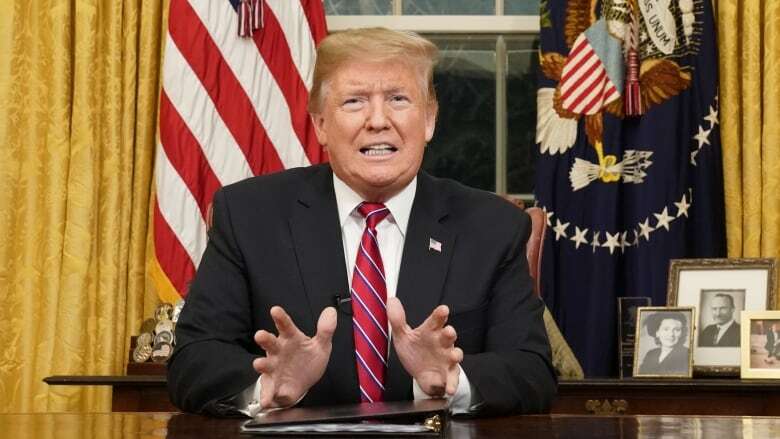 In a somber televised plea, U.S. President Donald Trump urged congressional Democrats to fund his long-promised border wall Tuesday night, blaming illegal immigration for the scourge of drugs and violence in the U.S. "This is a choice between right and wrong," he said. In a sombre televised plea, U.S. President Donald Trump urged congressional Democrats to fund his long-promised border wall Tuesday night, blaming illegal immigration for the scourge of drugs and violence in the U.S. and framing the debate over the partial government shutdown in stark terms. "This is a choice between right and wrong," he declared. In his first live televised address from the Oval Office of his presidency, Trump told the U.S. prime-time audience: "People build walls not because they hate the people on the outside but because they love the people on the inside." Trump's address is the Republican president's latest attempt to persuade Democrats to back his barrier on the southern border. Prior to the address, Trump reportedly considered declaring the border situation a national emergency — which could have allowed him to bypass congressional review and build his wall without its approval. He did not. Experts have said that such a step would likely face immediate legal challenges. In his roughly nine-minute statement, Trump said his administration has presented a proposal to the U.S. Congress to secure the border that was prepared by law enforcement professionals and border agents at the Department of Homeland Security. He said it includes cutting-edge technology for detecting weapons and drugs. "Our plan also contains an urgent request for humanitarian assistance and medical support," he said. A number of his statements were misleading — linking, through gruesome examples, immigrants with violent crime and also suggesting that the new trade deal with Mexico would pay for the wall. There is, in fact, no money earned by the U.S. through the trade deal, which has also not yet been ratified. And studies over several years have found immigrants are less likely to commit crimes than people born in the United States. 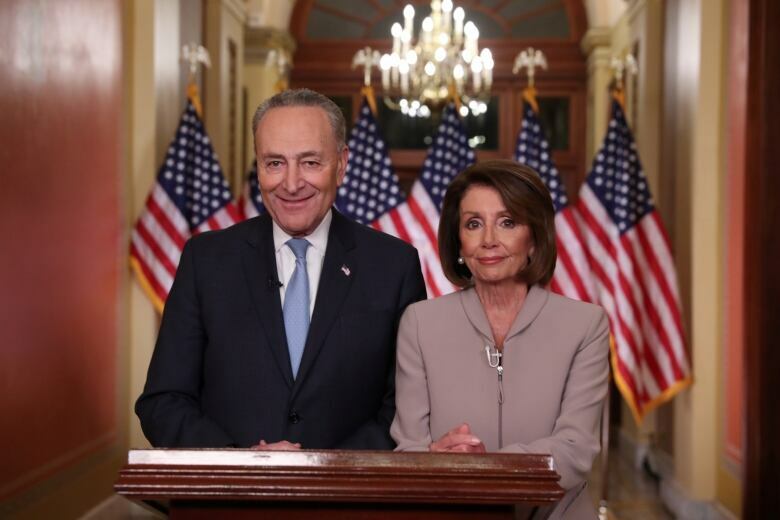 Democrats, who now control the House of Representatives, have consistently opposed the wall, calling it an expensive, inefficient and an immoral way of trying to resolve immigration problems. They have also made a point of reminding Trump that his campaign promise was to have Mexico pay for the wall, not the U.S. In the Democrats' televised response immediately following Trump's statement, Senate Minority Leader Chuck Schumer began by saying Trump has only shut down the government because he has been unable to convince Congress or the American people to foot the bill for the wall. "We don't govern by temper tantrum," he said. House Speaker Nancy Pelosi said the president has "chosen fear" in making the case to the American people for the border wall and that Democrats "want to start with the facts." And she added "we all agree that we need to secure our borders." Pelosi noted that the House passed legislation to reopen government on the first day of the new Congress. But Trump rejects that legislation because it doesn't have funding for his border wall. "The fact is," she said, "President Trump must stop holding the American people hostage, must stop manufacturing a crisis, and must reopen the government." The dispute over wall funding — Trump is demanding $5.7 billion US to help build it — led to a stalemate in Congress over funding for parts of the government. 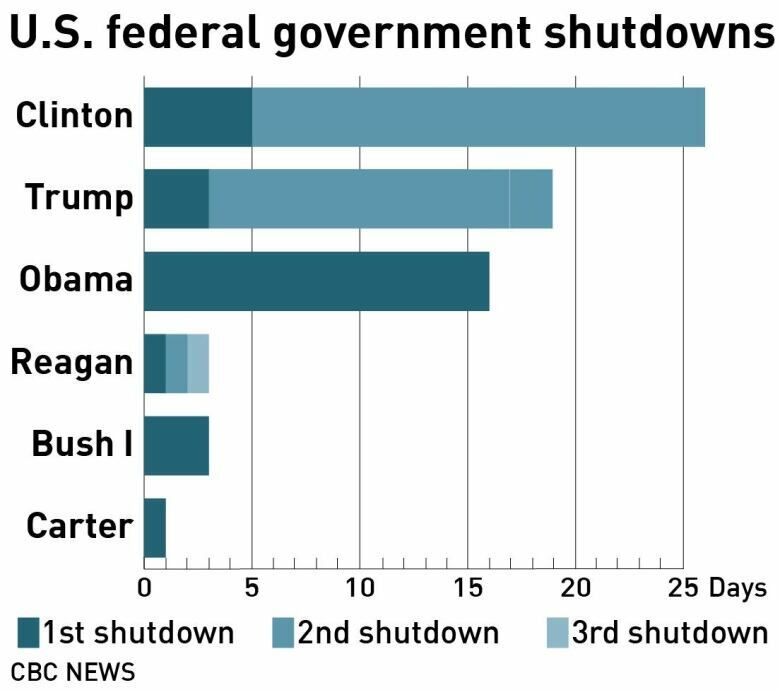 About a quarter of U.S. agencies have been shut down since last month and hundreds of thousands of government workers are likely to miss paycheques this week. Trump's remarks from the White House were meant to shore up support among Republican lawmakers, who are wary of potential backlash from the public as the effects of the shutdown intensify. Trump will continue pressing his case for the wall with a trip to the border on Thursday. 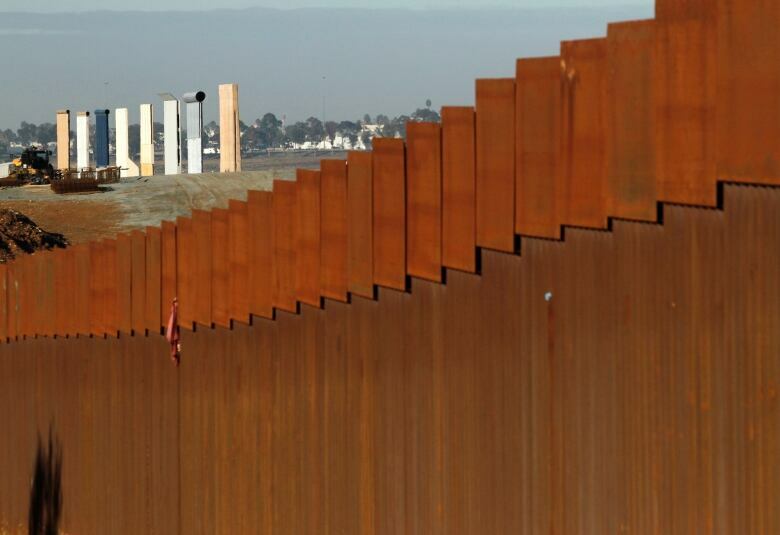 While Trump has frequently painted a picture of an "unprecedented crisis" of illegal immigration at the U.S.-Mexican border, illegal crossings there have actually dropped dramatically in recent years. 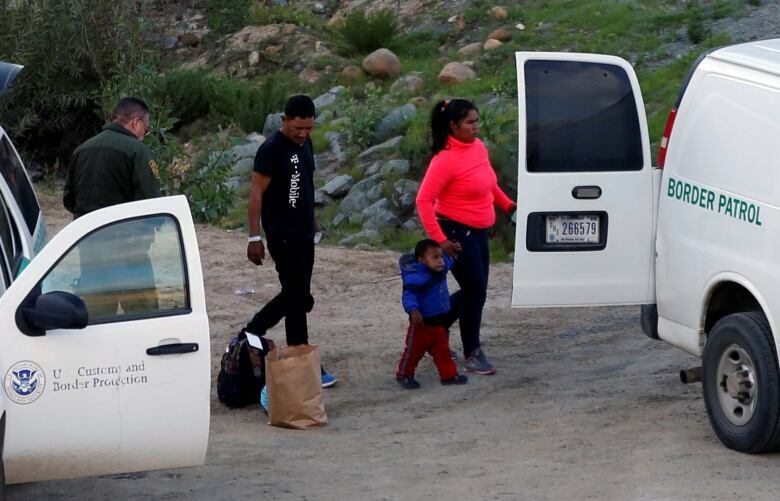 There were nearly 400,000 apprehensions at the border in the 2018 fiscal year, well down from the early 2000s when arrests regularly topped one million annually. The White House has not said why the situation constitutes a national emergency. Pence did not say whether Trump had made a decision or if the White House had completed its legal review of such a declaration. "We believe we can solve this through the legislative process," Pence told CBS, urging Democrats to negotiate. In recent years, the border has seen many more Central American families and unaccompanied children turning up — sometimes in caravans of thousands of people — to seek asylum and the government does not have the facilities to take care of them. Such asylum-seekers often present themselves at official crossing points, something that would not change if a wall were built. 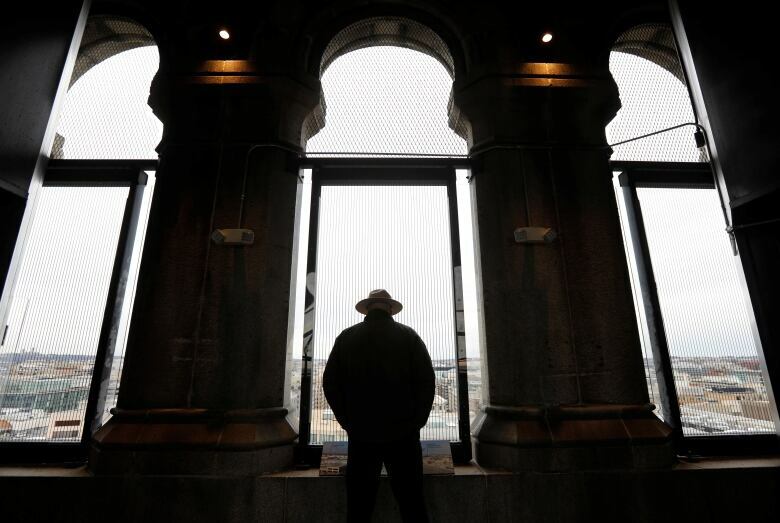 Despite the focus on the border with Mexico, most immigrants living in the U.S. without authorization entered with visas and then stayed on when their documents ran out. Pence said on Monday that progress was made in weekend talks that he led between administration officials and congressional staff over how to break the funding impasse and reopen the government. Federal employees will feel the pinch from the shutdown on Friday, when they will miss their paycheques for the first time, unless a deal is reached. The shutdown, which has left some 800,000 government workers furloughed or working without pay, is also affecting national parks, airline security screening, housing and food aid, and economic data. Experts say if the shutdown persists, Canadians entering the U.S. will see an escalating impact at the northern border, where Customs and Border Protection officials are working without pay because their jobs are considered an essential service. Len Saunders, an immigration lawyer based near the border in Blaine, Wash., said those border guards — many of whom are supportive of the president's border-security efforts — may soon stop showing up for work as they begin to feel the shutdown's financial impact. Leaders of the nonpartisan National Governors Association made public a letter Tuesday sent to Trump and congressional leaders a day earlier, calling on them to reopen the government, saying "a federal government shutdown should not be a negotiating tactic as disagreements are resolved." Trump made his promise for a wall a signature issue in his 2016 White House run. He said Mexico would pay for it, although Mexico was always clear it would not, and he has now turned to Congress for the money. In rejecting Trump's demands, Democrats also point to the Trump administration's controversial handling of families and other migrants from Central America at the border. Critics have decried the previous separation of migrant children from families, the use of tear gas at the border and the case of two Guatemalan migrant children who died in U.S. custody in December.